We're recruiting potential applicants that are interested in being apart of an active community. Our clan is one of the main faces of Etherum pking. Our leadership has been around for a very long time throughout Etherum history. We specialize in deep wilderness pking within both multi and single way combat. 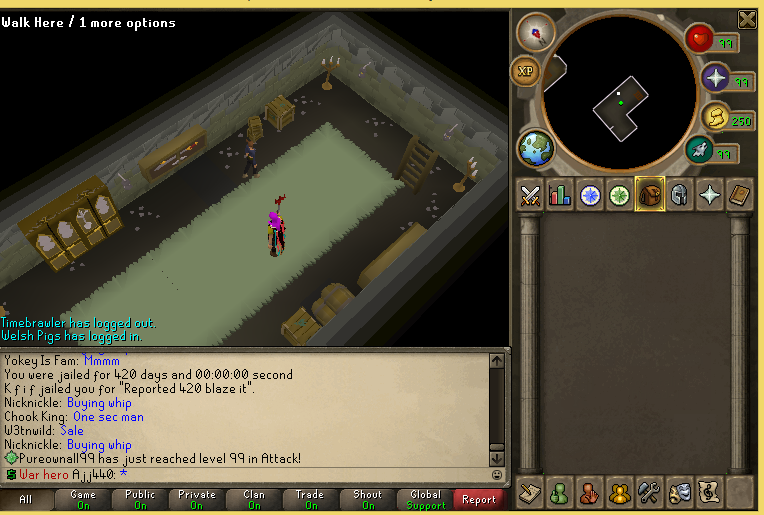 We originally started out deep wilderness pking in an attempt to keep the economy in check. Since then we've grown and established ourselves for being the #1 Pk Clan on the server. We always seek the best possible members that fit our standards and strive to be apart of the core. We pride ourselves on having the most loyal members and entrusting all of our members by their abilities. This also means keeping up with skilling and other high level player content, such as bossing and new content upon release. For the time being clan recruitment will be the sole responsibility of Arcane as I will be extremely busy in the upcoming weeks. We have a variety of options for every style of player at Justice. From skilling, to PvM, PvP, PKing, Minigames, and completing new content upon release. The following activities are some of our most common interests, but is not all inclusive of what we offer at Justice. Our ranking system is unique to our clan and is explained by the following. All advancement in ranks & promotion will be based on the needs of the clan, and are made at the sole discretion of clan leadership. With this being said, members may advance in ranks by merit, ability, and time in the clan. Our rank structure takes an oldschool approach, and goes by your time spent with us, along with the impact you have on the clan. Though we are a PK Clan who tends to do other things aside from just wilderness based activities. You should still find yourself interacting with everyone throughout mini-events/trips in order to gain favor for yourself along with the rest of the clan for an overall good reputation with us. Ranks only matter if you want them to, just enjoy what you have to offer the clan, and what the clan has to offer you! The following rules and regulations apply to all Members, Applicants, and Leadership. These guidelines are set to ensure that we function both as a clan, and as a successful team. † NO Excessive flaming, or causing drama. † NO out of game attacks. † NO Scamming & 'Trust' Item loans; Item loaning must be met with equal collateral. † NO Staking for anyone besides yourself. † NO ragging clan members (Obvious reasons). 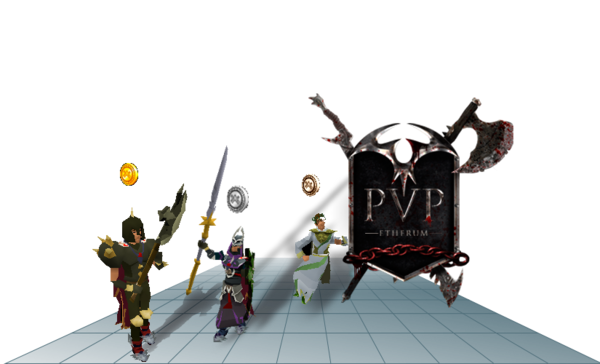 † PvP & PvM Splits will be decided by the Official in charge of the trip beforehand. *Multi Clanning refers to any involvement with ANY Clan, Team, or Community which associates with PKing, PvP, or Warring. 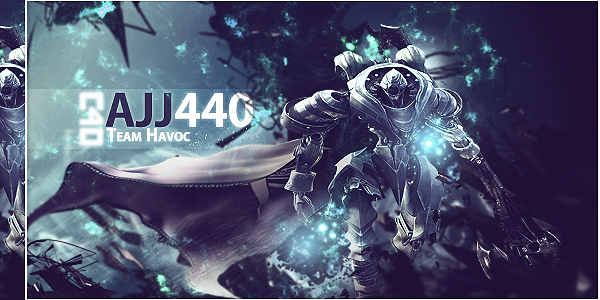 Our requirements to join Justice are based upon the current state of the game. We believe in maintaining a degree of competitiveness with the clanning community, and as such we strive to have each and every Member play as efficiently and enjoyably as possible. Our clan uses a secure Discord server as our primary voice communication platform. Although we have no direct account requirements, as the best we do expect a certain level of dedication. Running high end gear setups is a must and any of the following will boast well in your application! i pay 1b to join?